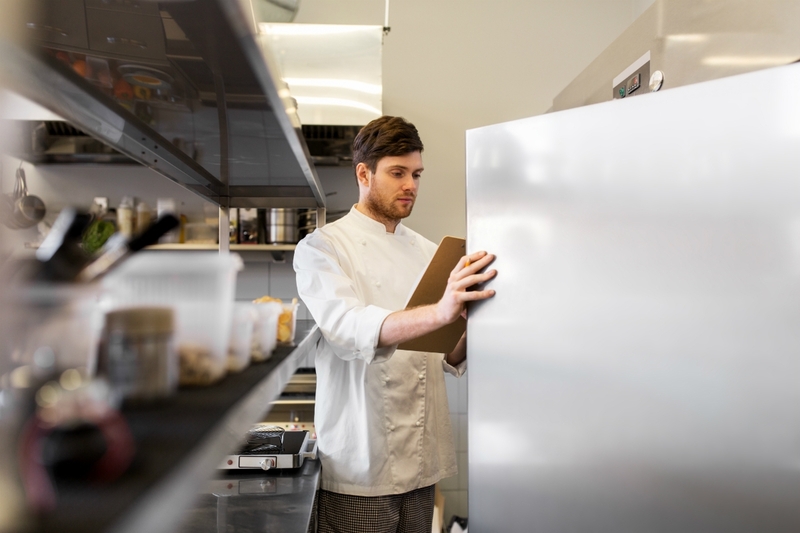 Purchasing a commercial fridge is always an obligatory step to setting up any commercial hospitality establishment such as a restaurant, bar, supermarket, takeaway shop or café. There are various options going into account when deciding on a commercial fridge purchase such as purpose, room, accessibility, cost and practical use. Commercial fridges are a required necessity to contain a large amount of stock at the proper temperature. Whether it’s a cool temperature in a merchandiser for quick customer access and refreshment or in the back of the kitchen work space to store stock, each fridge/freezer has its own purpose. If you’re requiring storage for a small café you might refer to a smaller unit option such as a bar fridge or wine cooler for beverages, but an expanding commercial business will need to think bigger and will require large fridge units depending on budget, space and convenience. In today’s hospitality workspace it is often important to utilise a number of commercial fridges for various reasons. In this list we compile the those exact reasons in reference to the importance of each type of commercial fridge and how each one can suit your specific needs. 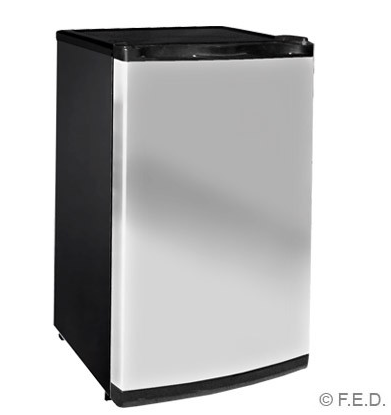 Commercial bar fridges are unique in that they are compact, easily accessible and can be used for a variety of different scenarios. The general use for bar/undercounter fridges is to store alcohol, mixers and small beverages for quick and easy access, especially ideal for commercial businesses selling stock fast like bars, clubs, restaurants and cafes. Commercial bar and undercounter fridges are usually durably constructed with glass doors, door locks and high quality compressors. They are also well ventilated, which adds to the unit’s efficiency and effectiveness under the front counter, or on top. Glass doors also allows both customers and staff to easily view available beverages that can be purchased and eases stock navigation. Wine coolers are also a great inclusion, especially for restaurants as they can also act as alternative bar fridges for wine bottles and specialised beverages. Similar to bar fridges, display fridges act as a staple for any store front, café or takeaway shop looking to sell food and beverages quickly in a fast paced environment. The main difference is that display fridges, or merchandisers, are much bigger in comparison and can store a much large variety of stock to include different foods. These units come in a variety of shapes and sizes with individualised features and extras, such as space and a number of shelves, which can help narrow your choices on what unit to purchase. Also like bar fridges, display fridges usually feature glass doors for optimal customer viewing and simple navigation for employees. Possibly the best thing about display fridges is that they’re easily accessible, with eye-catching glass views and generous ample space for storage. They’re a basic need for most hospitality establishments that sell fast. The workhorse for your kitchen and possibly the biggest in size, the workbench fridge and prep table is featured in almost every commercial hospitality business out there. It is a workplace essential, especially for large scale kitchens requiring a multi-functional unit that can assist with the multi-tasking operations of your kitchen staff. All our workbench units featured a strong and sturdy stainless steel construction with different shapes, sizes and features including fridge cabinets, drawers and storage options for added efficiency. Smaller units are great for making small meals such as salads, sandwiches and wraps, while the bigger units are better for foods like pizzas, steaks, burgers and roasts. Your prep table acts as a catalyst to help create the perfect meals for your patrons and customers. These units are often well insulated with castors and motors, self-evaporating drainage and fan-forced evaporator cooling – an essential must have. Similar to the display fridge or merchandiser, the upright fridge is also a perfect choice for a store front fridge that provides customers with optimal viewing and easy accessibility. It also provides staff with navigation ease when it comes to stock replenishment. Upright fridges, for the most part, stock an assortment of drinks, but can also be utilised in the kitchen space for food and stock storage. They’re renowned for keeping items and stock cool, refreshed and ready to be used by staff. 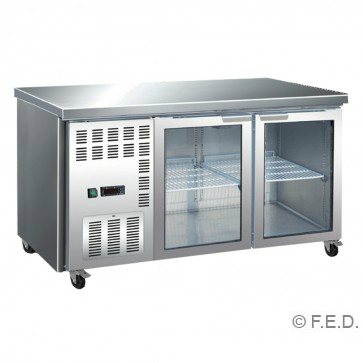 If you are operating a fast-paced and busy commercial kitchen at a popular establishment, then a commercial unit such as an upright fridge or display fridge is an efficient choice, verging on a need as a quick, reach-in and accessible solution to alleviate the stresses that occur during busy hours. Upright fridges provide a much more heavily segmented interior, where food or beverages can be distinguished from one another and neatly stored, similar to residential or bar fridges, but with a larger capacity. These reach-in units feature powerful motors and manoeuvrable castors, with a narrow and visually-appealing design. Some include glass doors for viewing, strong build, double doors and LED temperature displays. 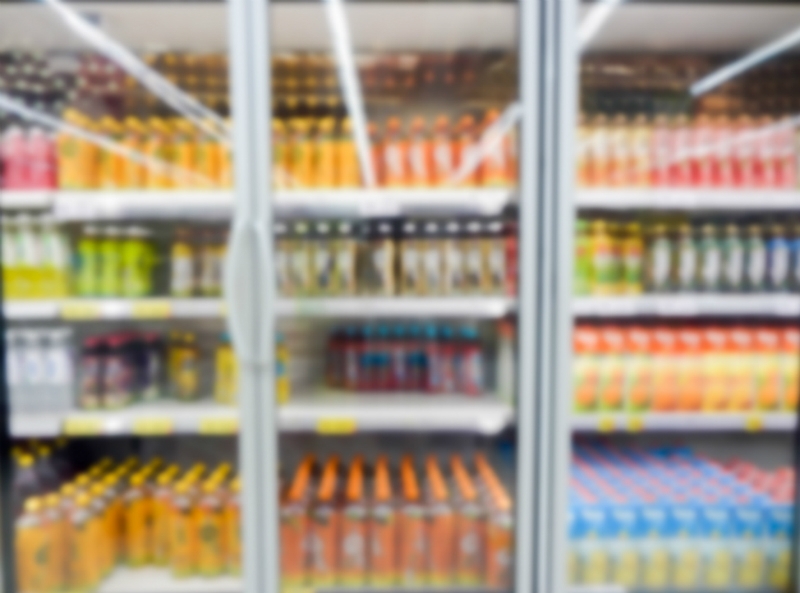 The top pick for large-scale businesses and shops, chest fridges and freezers are usually the choice for big restaurants, petrol stations and supermarkets needed to store a large amount to keep cold and refreshed, or frozen in the case of a freezer. These fridges are usually kept out the back in the kitchen workspace or in storage. If it’s a supermarket, petrol station or shop, it can be primarily used for stock replenishment or to store an assortment of cold foods. For restaurants and large scale businesses it’s usually used just for stock storage. 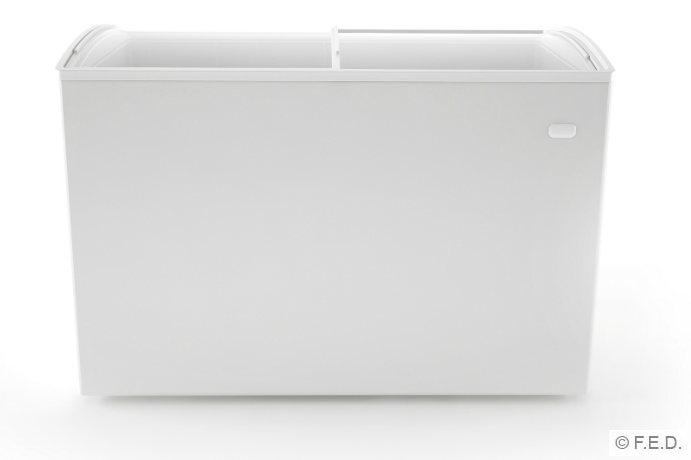 These fridge chests also come in a variety of sizes, so it is important to not the length and depth of a fridge unit and whether it’ll fit within the workspace of your kitchen or backroom. Other distinguishable differences can include a glass roof (usually seen in supermarkets and shops for customer viewing of cold food), heavy duty constructions, stainless steel lids (for non-glass roofs), baskets for stock, quality compressors, temp control and castors for manoeuvrability. While this is a short example of the range of commercial refrigeration on offer, this gives you a good insight into what’s out there and helps you narrow down your commercial fridge selection according to your establishment’s needs and the convenience to both your staff, your patrons and customers.